Gateway Island is a fabulous venue in Murfreesboro, TN. Due to the picturesque quality of this place, there are days when it is closed for private events. So make sure to check the schedule before you head out. 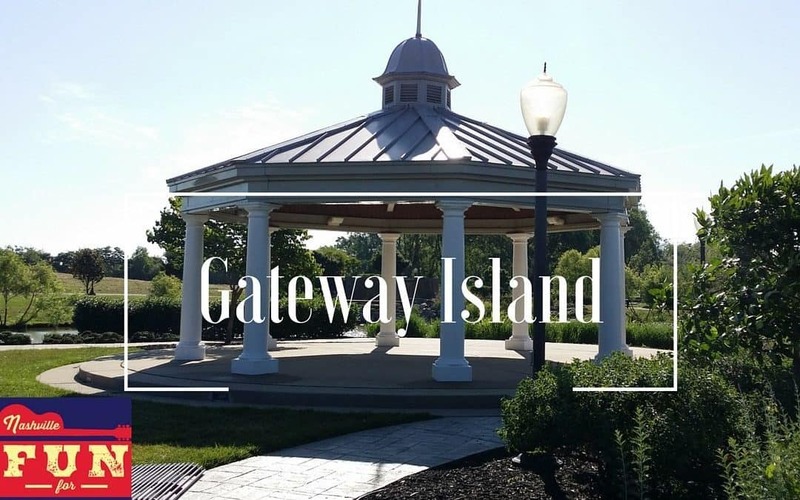 Whether you want to jog for exercise or just take a leisurely stroll, you can’t go wrong at Gateway Island. There is a waterfall, beautiful landscaping and a gorgeous gazebo. I just fell in love with this place! I’m guessing it is a popular wedding venue but I think it would also be perfect for prom, engagement or senior photos. There is also a small picnic area. This would be great for lunch with the kids or for a romantic date night. I have teens that are always looking for cheap date ideas. This place would fit the bill. Picnic dinner, moonlight stroll, what more could you want?!?!? The trail surrounding Gateway Island is approximately 1 mile. You can find a map of the trail lengths at this link. There is also a reception building that houses a kitchen, multi purpose room and restroom facilities. The parks department schedules programs here throughout the year. Check the calendar for more information.